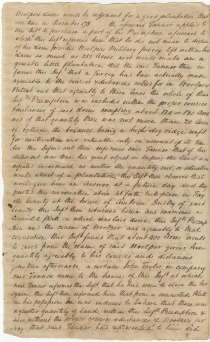 Sworn deposition made by James Garrard towards the end of his second term as governor of Kentucky, defending himself against a lawsuit brought by Philemon Thomas with respect to land claims and sales. JAMES GARRARD. 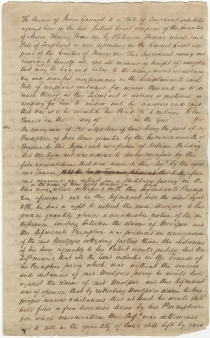 Manuscript Document Signed as Governor. Court deposition. 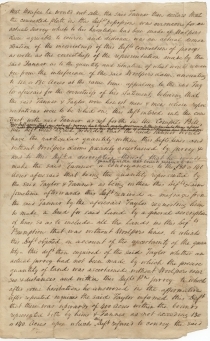 Bourbon County, [Ky.], March 5, 1804. Countersigned by witness Laban Shipp. 4 pp., 13 ½ x 8 ¼ in. 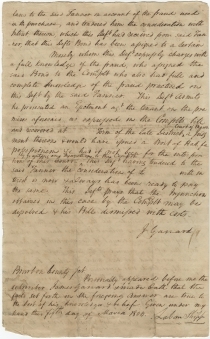 Granting Kentucky land to Revolutionary war veterans, coupled with uncertain surveys (and undoubtedly some corruption), led to myriad lawsuits as the courts attempted to sort out the claims. Philemon Thomas, who brought the suit, was born in Virginia, served during Revolutionary War and later moved to Kentucky. He was a member of Kentucky’s Constitutional Convention and was elected to both the Kentucky House and Senate. In 1806 he moved to Louisiana, and was in the House of Representatives for two terms. 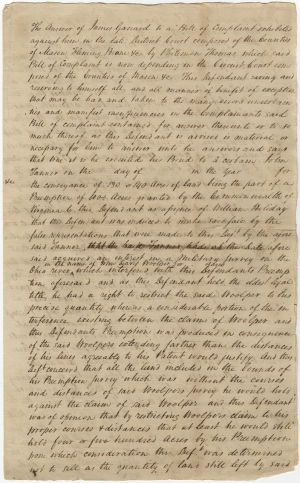 The document was recorded, and is signed, by Laban Shipp.